Pinterest is bursting with photos of precious newborns, sleeping soundly, wrapped in soft, cuddly cocoons. Knitted or crocheted, these little sacques are an adorable way to keep baby warm and snuggled. 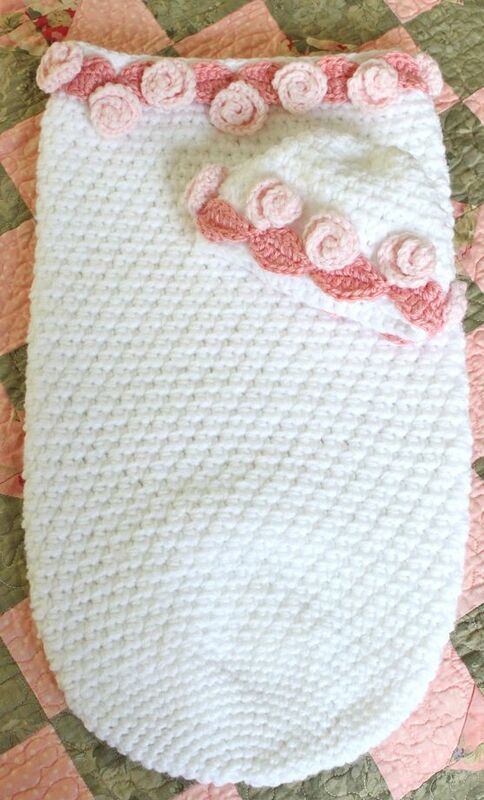 This pattern is called “Angel Cocoon Set” in the book Annie’s Attic #871046, Cuddle Cocoons. However, you can find it at Ravelry under “Roses and Lace Cocoon and Hat Set”. It is crocheted using a double strand of baby yarn which keeps it soft, but also makes it warm. The pattern is easy to follow, and not-at-all difficult to make. 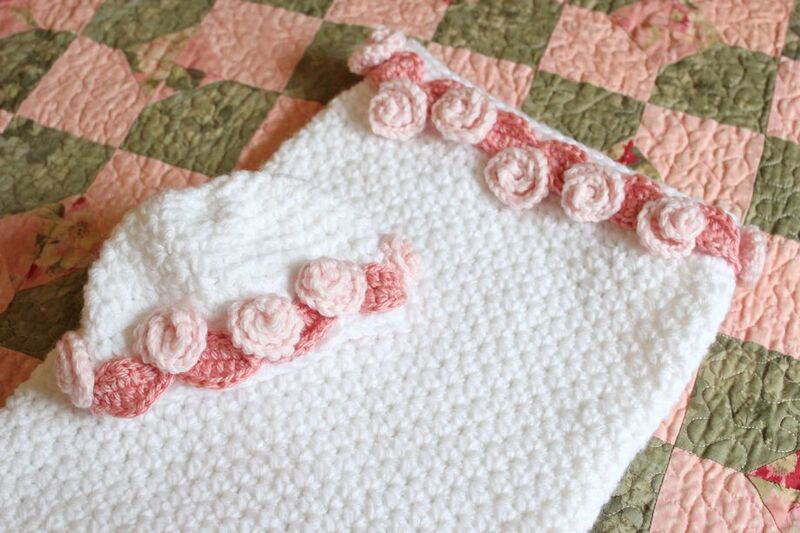 I modified the roses by using a double strand of yarn, and I crocheted fewer of them. I’ll give this gift to someone special who has learned she’ll be having a baby girl in January. Since the baby’s middle name will be “Rose”, how can I miss?? Wish I had the pattern when your guys were little!! 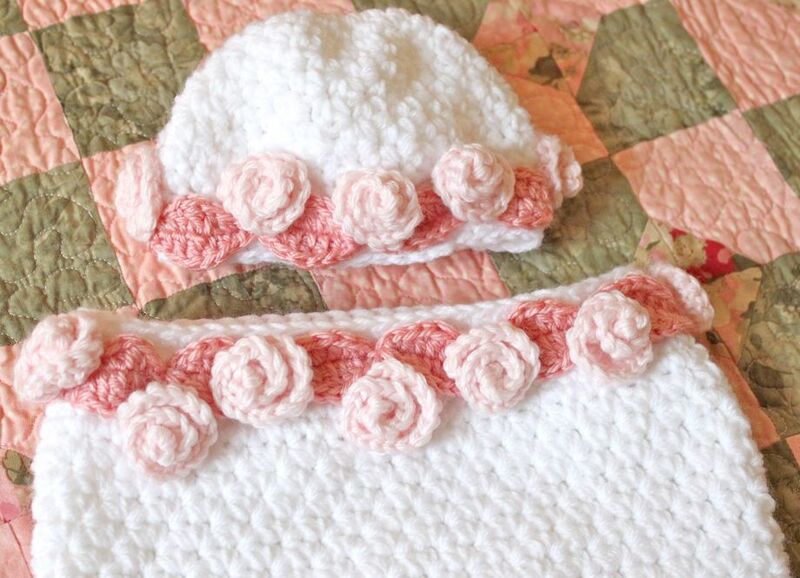 Wish I had a little girl to crochet for…. Everyone LOVES the hungry caterpillar! I’ll be knitting one to keep in my stash, but I’m not sure it will be easy to part with. 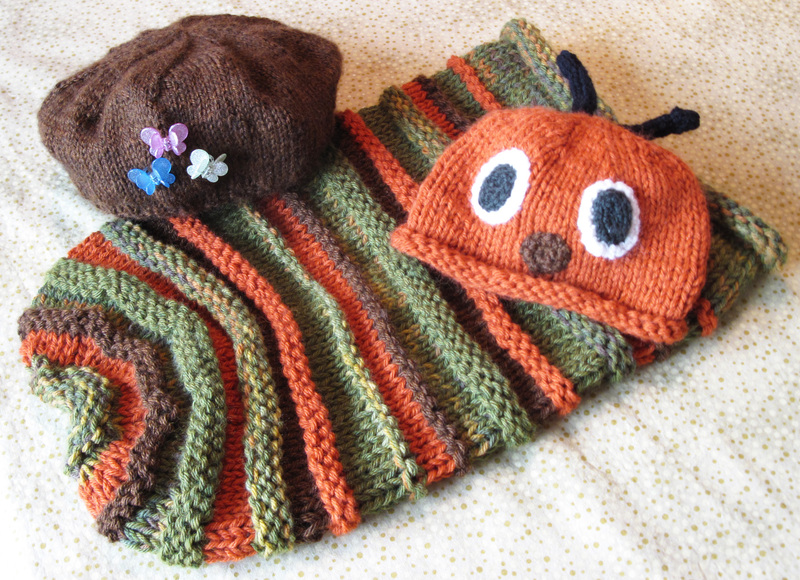 Maybe you can use a simple cocoon pattern and make the cocoon to match this hat. Hope this helps! !